?Chelsea fans are set to come under further scrutiny, after pictures on social media showed a number of the club’s supporters toting a flag with a Nazi symbol on it in Hungary ahead of their clash with Vidi. 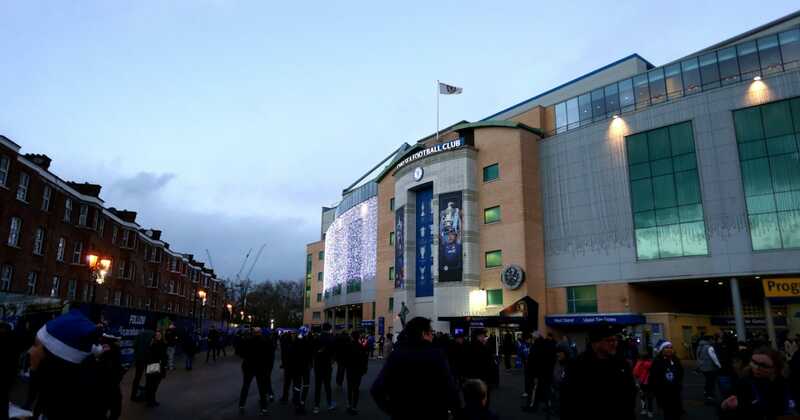 The club were already forced to release a statement condemning a small part of their in-stadium support on the night for antisemitic chants, with these latest images – published by The Gua?rdian on Saturday evening – likely to provoke a strong response. The newspaper report that the club are aware of the images, and aware of around 40 fans who travelled to the continent for the match without tickets or any intention of attending the match itself. The club are said to be ‘confident’ that the banner was never brought into the stadium. The flag references the ‘?Chelsea Headhunters’, a notorious hooligan group from decades gone by who had links with the neo-Nazi Combat 18 group, the far right National Front and Northern Irish loyalist paramilitary organisations – with the latter being alluded to in the flag’s design; a modified Northern Irish flag. The flag’s four quarters featured (from top-left, clockwise) the phrase ‘You have been nominated and dealt with by the Chelsea Headhunters’, a Rangers logo in Union Flag colouring, Loyalist slogan ‘No Surrender’, and the SS-Totenkopf skull. The images will come as another blow to the club, in a week in which sections of their fanbase have come under heavy scrutiny. In addition to the chants on Thursday night, the Blues hit the headlines on Sunday afternoon when one of their supporters was caught on camera appearing to racially abuse ?Man City star ?Raheem Sterling.